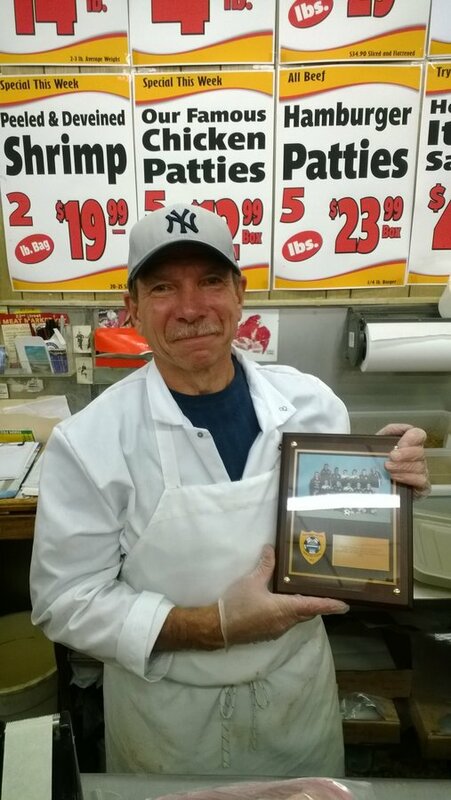 Mr. Lou Pelliccia, owner of the 22nd Street Meat Market, received a plaque given to him by the BYSA Bayonne Thunder U13 Team. Mr. Pelliccia generously sponsored the Bayonne Thunder U13 Team this season. The coaches, parents and players are grateful for Mr. Pelliccia’s support. Please remember to shop local.